The climate in Vietnam is very different from the North to the South but can generally be divided into two distinct patterns. The climate in the North and the South versus the climate in the central highlands around Hue, Hoi An and Danang. The South of Vietnam most typically Ho Chi Minh and the Mekong Delta as well as Hanoi and the North tend to follow the rainy season pattern which is evident across Southeast Asia, with heavy rains from May till October. The best time to visit these regions then would be between the end of October to March. Hanoi and the mountains of the North are generally much cooler than the South of Vietnam. If you plan to visit central Vietnam the monsoon arrives from October to March which certainly is different to the typical weather pattern of Southeast Asia. 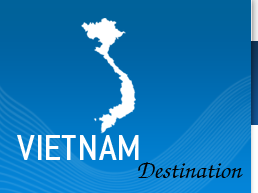 All in all the best time to make a trip to explore the whole of Vietnam would be around April, May or October. Although you could certainly visit all year round picking your destination relative to the time of year.